We asked and you answered. Many of you responded to the question regarding your biggest struggle when it comes to being productive. The majority of you shared that staying on top of documentation, interruptions, and lack of computer access affects your time management and productivity. For some people, it’s simpler to view productivity in the currency of time. There are only 24 hours in a day, 60 minutes in an hour, and 60 seconds in a minute. If you live for 60 years, you will have lived 525,600 minutes. Productivity at work and home is not simply doing something for the sake of getting it done. It’s about doing the right things at the right time to achieve maximum efficiency for your effort. Believe it or not, efficiency is sometimes about doing nothing at all: taking a break, recharging your batteries or mentally preparing for what comes next. 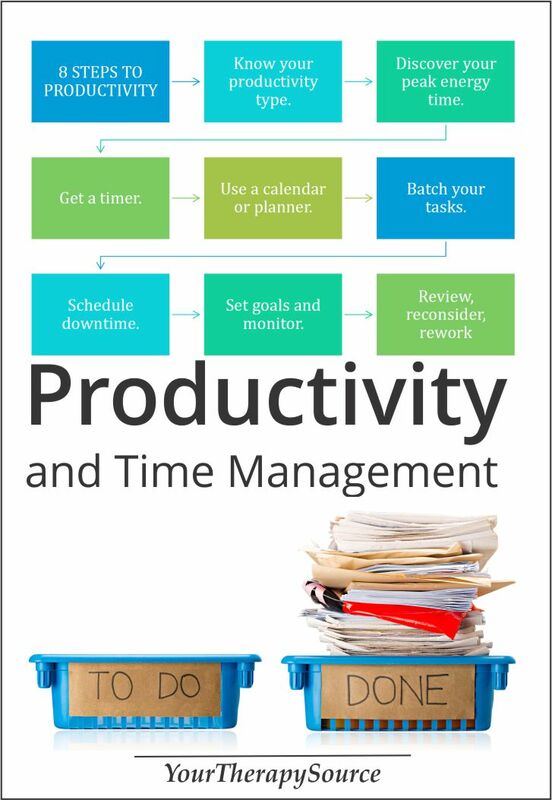 The real key to remember is that everyone has unique needs when it comes to maximizing efficiency for optimal productivity. If your goal is to accomplish more in less time, then you need to complete the following eight steps to productivity. 1. 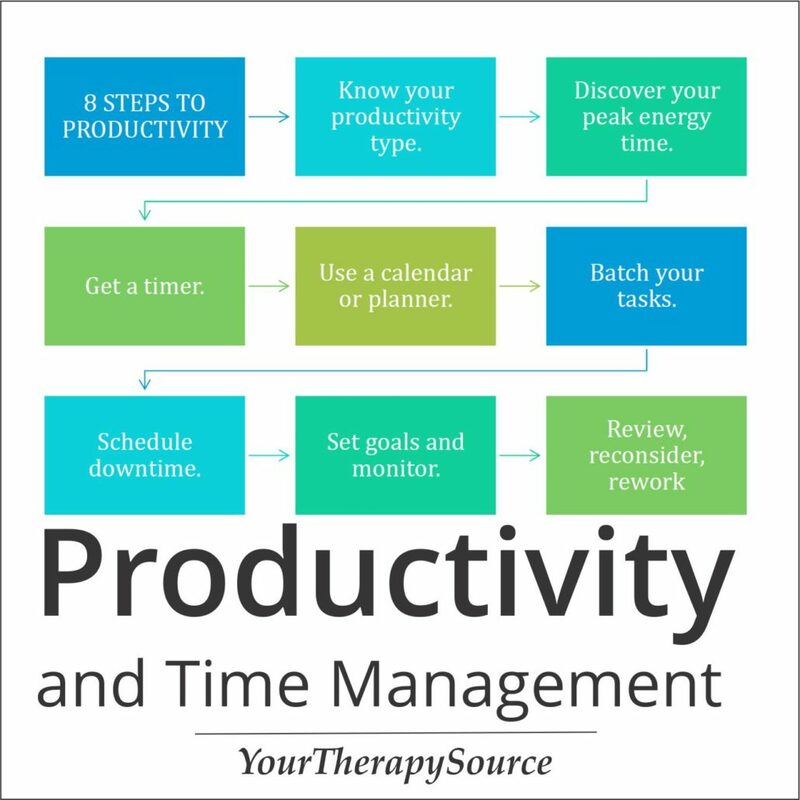 Know your productivity type to help you prioritize your work. 2. Discover your peak energy time. 3. Get yourself a simple kitchen timer. 4. Make friends with your calendar. 5. Batch your tasks and plan your weeks. 7. Set goals and monitor. 8. Review, reconsider and rework your goals if necessary. of chaos makes it seem like you will never catch up and never have time to relax. But as you learn more about your personal productivity needs, you will find that you are not only able to improve the quantity of work you accomplish in your day, but also the quality of work you accomplish. How does this happen? You can learn how to make small tweaks to your work habits to improve your mood and your productivity. You need to focus on learning to do certain tasks during the hours when you are most productive, focusing your attention in short bursts of time and scheduling vital downtime on your calendar so you have an opportunity to enhance creativity, boost energy, and get a greatly improved return on investment for your time. Ready to get started? 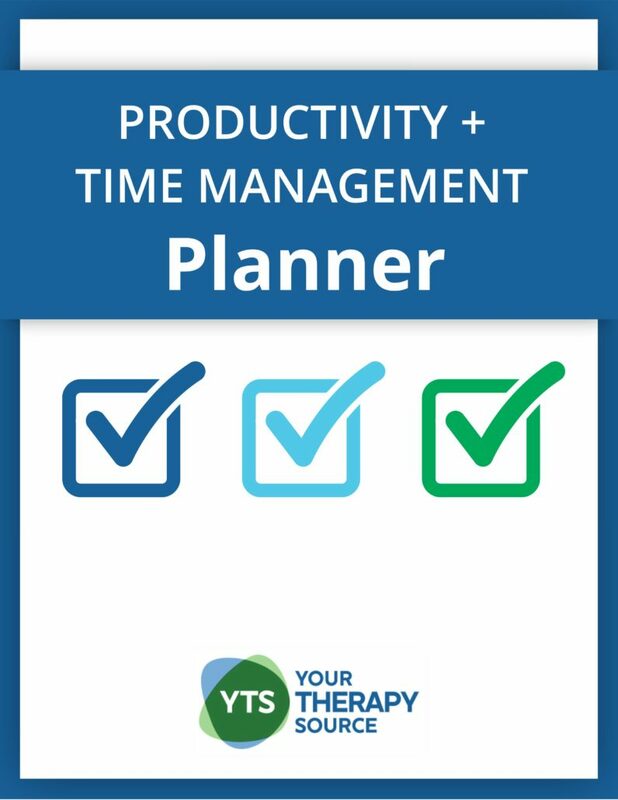 Take the time to learn the ins and outs of each of the eight steps in the Productivity and Time Management Planner so you can take your professional and personal life further than you’ve previously dared to dream possible.